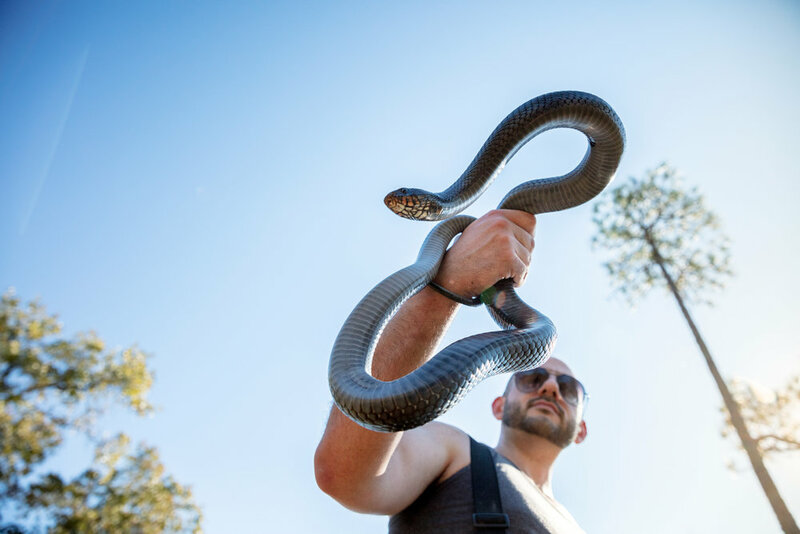 In the Spring issue of Audubon Magazine you'll find a story about how the Eastern Indigo snake is being reintroduced throughout its native habitat after all but disappearing back in the 50s. 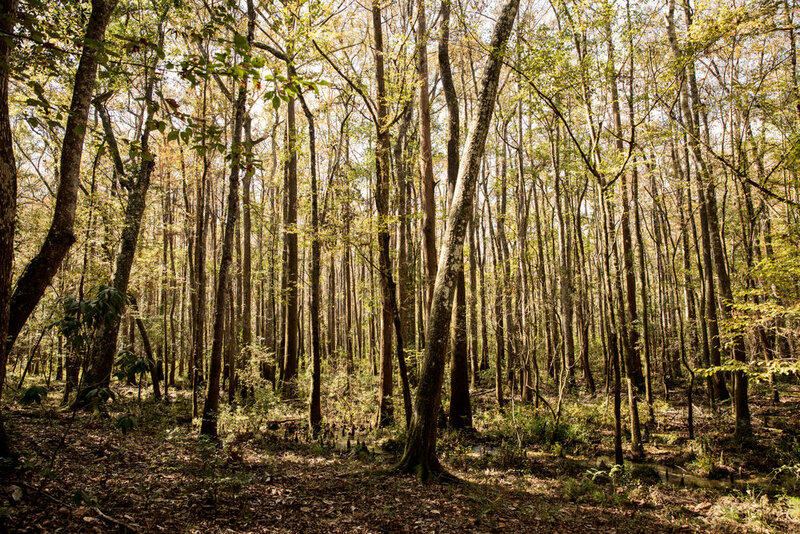 I had the pleasure of accompanying Dr. David Steen to long leaf pine forests in Alabama and Florida to document the work being done with these snakes. 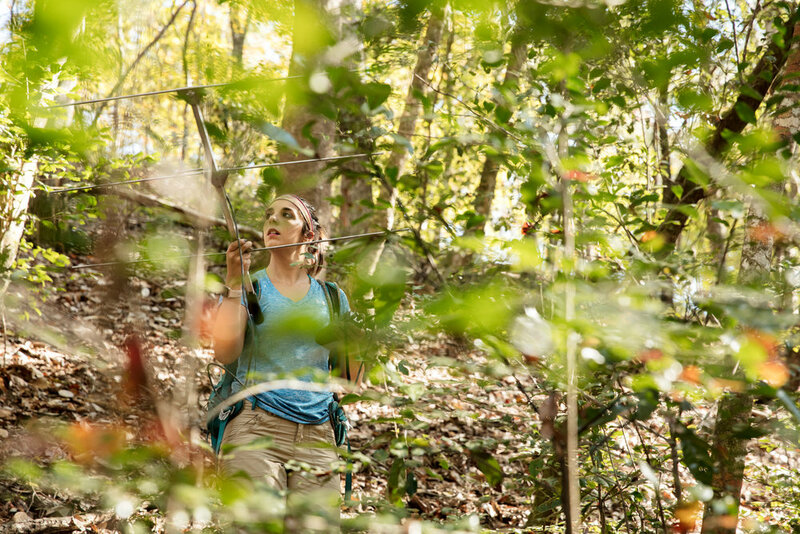 In the Apalachicola National Forest of Florida, we also spent time with graduate student Sara Piccolomini who tracks Indigos which have been surgically implanted with a small radio transmitter. You may be wondering why a bird-focused magazine is talking about snakes and the answer is pretty straight forward—these snakes eat other snakes which in turn eat birds. I encourage you to see the whole story online (which I've excerpted below) for a much better explanation. David Steen slams the brakes of his black Chevy, bringing the truck to an abrupt stop on a sandy road in the Conecuh National Forest in southern Alabama. “That’s an indigo!” he says before throwing the truck into park, flinging the door open, and running out into the dappled November sunlight in hot pursuit of his quarry. Dr. Steen identifying the snake by its passive transmitter. Sara using a radio tracker to find snakes equipped with radio trackers. The tracking system is very simple, which also means it's not exactly precise. We ended up tracking one Indigo down into a ravine and all the way back up the other side. It hadn't moved, there was just no way to pinpoint the location. This is Sara at the bottom of the ravine, on the search. If you look closely, you can see the scar leftover from the radio transmitter surgery. David and Sara place the snake is bag to they can weigh it.